Tomato masks are very useful for spots that appear due to direct exposure to the sunlight. They are also effective for those who have trouble with oily skin, acne or enlarged pores. Tomatoes have so many benefits for the skin because of their powerful nutrients like lycopene, protein, vitamin A and vitamin C. Lycopene, an antioxidant that gives the red color, fights free radicals in the body, which makes it a formidable weapon in treating skin problems. There are other nutrients found in tomatoes which are considered a great help in solving skin problems: vitamin C and vitamin A make the dull skin shine and restore its health. 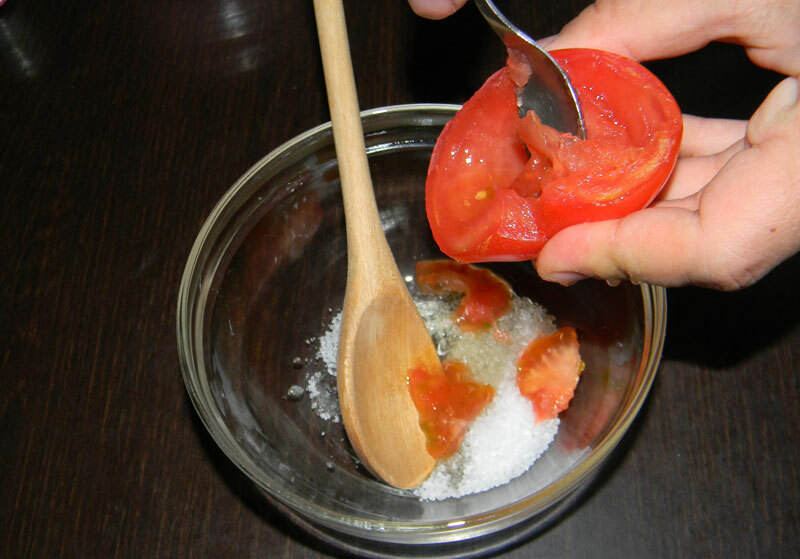 Tomato also has astringent properties which means it removes excess sebum. 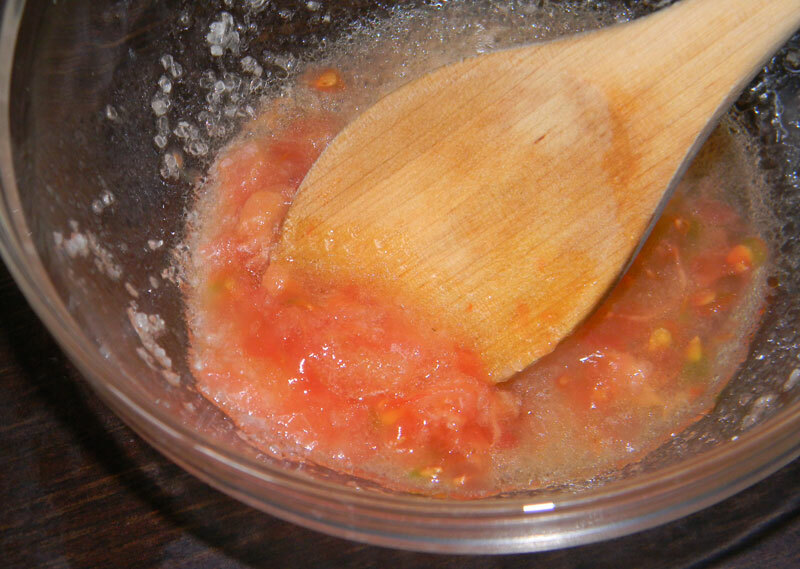 Try to use this tomato face scrub at least once a week. 1 Combine the sea salt and olive oil. 2 Mix in the tomato flesh and stir well. 3 Apply to your face by gently massaging it. After that rinse with warm water and apply your favorite moisturizer. 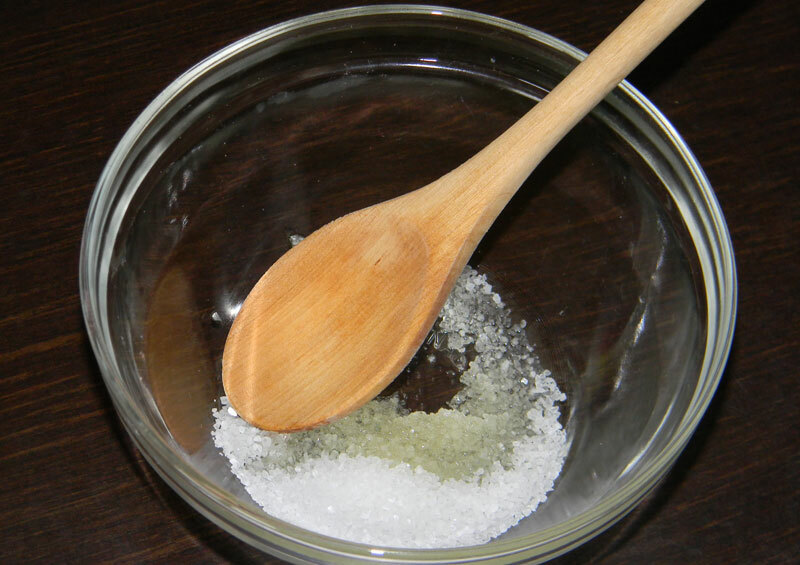 If you want to make a larger quantity of scrub, simply store it in a container. 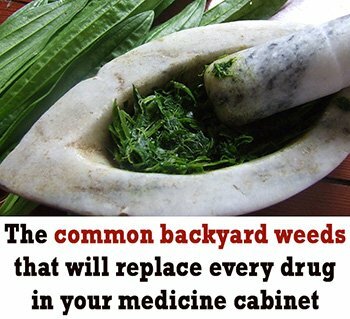 You can keep it in the fridge for up to 2 weeks. a) Efficiently cleans pores, removing dead cells and dirt from the face. Also, tomato juice reduces enlarged pores, acting as a natural astringent. b) Removes blackheads, moisturizes oily skin and reduces the oily appearance. Tomatoes are recommended for treating irritations and redness by balancing the pH levels. c) Reduces acne. Although the results appear in time, applying a tomato mask helps cure acne. 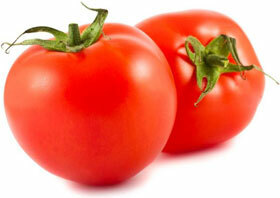 The skin will be more supple as tomatoes stimulate the production of collagen.